Healing from trauma is a process that can be daunting, especially when there is a lack of trauma-specific treatment options available in a particular area. Survivors who have exhausted traditional talk therapy modalities and ​who do not have access to specialized trauma therapies often seek out alternative methods like equine-assisted programs to continue their journey of recovery, or to supplement existing trauma treatment. In spite of species-related differences, all mammals are attachment-based creatures with an innate drive towards affiliation. Mammals also have a nervous system that is capable of mounting self-protective responses (such as fight, flight, fawn, freeze, faint and fold, among others) to ensure survival, as well as discharging residual survival energy and settling into regular living activities again when the conditions support it. Nervous system dysregulation: Instead of an easy ebb and flow between the stress and relaxation responses within a wide and resilient window of tolerance, what is more common is a narrow range of tolerance and a tendency to end up in hyper-arousal (fear, panic, anxiety, rage, mania, racing mind), or hypo-arousal (depression, exhaustion, numbing, disconnection, mental fog, dissociation, collapse, shut down), or to fluctuate between the two. Neuroception dysregulation: Neuroception refers to the mammalian ability to detect safety, danger or life threat and respond accordingly. Like the nervous system, neuroception can also go awry. Instead of rational vigilance, there can be a tendency towards hyper-vigilance (perceiving or anticipating threats when there might not be any) and hypo-vigilance (not recognizing the signs of danger when it is present). Similarly, boundaries can be too rigid or too porous. Relational ruptures and insecure attachment: When deprived of other members of our own species for socialization, or when others have been a source of harm, relationships are no longer the resources that they are intended to be. Either closeness or separation can be a source of distress, depending on the individual, resulting in relational survival patterns to try to mitigate the associated fears, such as clinging, avoidance, shame, appeasement and submission. Management strategies: When we are unable to fight or flee, we can turn to a number of different behaviours in order to adapt or cope with our existing circumstances. Aside from relational survival strategies, these can also include addictions, disordered eating, and obsessive-compulsive behaviours (known as stereotypies in non-human animals), and so on. Trauma-informed principles: Equine-assisted activities that foster safety, consent, choice, voice, empowerment, trust, collaboration and compassion for both human and equines help restore vital elements that were missing as a result of traumatic experiences and prevent inadvertent re-enactments. Trauma awareness: Educating clients about the nervous system, survival responses, secure and insecure attachment, and the link between trauma, mental health and addictions, goes a long way towards normalizing and validating the ways one adapted in order to survive. Horses, donkeys and mules are good examples of these concepts in action, and they model the importance of empathy and non-judgment as well. Stabilization: Activities involving horses and other equines can support nervous system regulation both actively through careful direction by the facilitator and passively by being in the presence of the horse’s and facilitators’ nervous systems as sources of co-regulation. This is typically done on the ground, but can also be done through mounted work (regulation through rhythm) and table work (somatic touch or energy-based) in the presence of equines . Equine-assisted interventions can also involve the development of an internal focus of control through self-regulation skills, such as sensory grounding, containment, self-soothing, drumming, distress tolerance, present time orientation, mindfulness and self-compassion. Safety and relational repair: Observational, approaching, active and reflective exercises with horses offer opportunities for present moment awareness; mutually beneficial, attuned and responsive relationships with the animals where both have a chance to “feel felt” and “get gotten”; and the ability to more accurately read body language and situations. Accessing resources: Resources are not just about building tolerance for distress and grounding skills that support calm and relaxation, but about connecting with a sense of aliveness, authenticity and playful energy. For some, this is part of stage one work while for others this is possible as a result of stage two and three work. Observing how the human facilitators treat and respond to the animals’ needs and body language in the program also helps restore a sense of people as potentially trustworthy, in that facilitators ensure the growth and integrity of one does not come at the expense or coercion of the other. These “corrective emotional experiences” help recalibrate one’s gauge for safety and danger in relationships and in the world and help build a sense of object constancy (trusting that relationships continue to exist even when there is physical separation). This is an area of equine-assisted trauma recovery that is less well-known but is gaining more attention. Practitioners are now incorporating EMDR® (Eye Movement Desensitization and Reprocessing), Somatic Experiencing®, polyvagal theory, Sensorimotor Psychotherapy®, Self-Regulation Therapy®, Gestalt therapy, psychodynamic psychotherapy, Family Constellations, the Neurosequential Model of Therapeutics, the Structural Dissociation and Internal Family Systems® models of parts work, and other trauma and attachment-oriented approaches and frameworks into equine-facilitated practice. These approaches are crucial in helping resolve traumatic memory, body memory, deeper attachment and shame-related issues, more severe fragmentation of the personality, and other complex challenges in order to widen the window of tolerance. It is important to note that some of these therapies also can be used for stage one and stage three work as well and are not exclusive to stage two processing. Trauma processing can occur on the ground, through mounted work, and on the table in the presence of equines as well. This final phase looks towards the future, exploring post-traumatic growth, redefining one’s identity, navigating transitions, exploring new meaningful relationships, and finding ways to transfer skills learned in equine-assisted programs into everyday life. 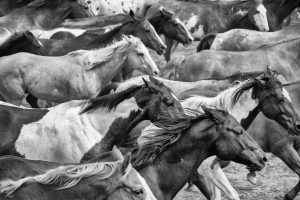 With more regulation on board, more solution-focused equine-assisted interventions and those that focus on spiritual expansion are possible when the brain is not operating from lower regions focused on survival and is instead available for cognitive reasoning, problem solving, creativity, and vision planning. These stages are not always linear, and movement often occurs back and forth between them. Indeed, in equine-assisted interventions there is often a focus on stage one and stage three elements, especially when stage two work is not within the scope of the facilitators. This does not mean that stage three work can’t be useful if stage two work has not taken place; however, it does mean that certain clients will not be able to fully experience or integrate the benefits of stage 3 work if there is significant unresolved trauma. The fact that equines can be included in all stages of trauma recovery, however, is remarkable and speaks to the unique gifts and power of programs that support healing with horses. All approaches to equine-facilitated practice have something to offer those affected by trauma and its associated mental health and addictions challenges. However, not all programs are trauma-informed or offer specialized trauma-specific treatment. It is important to research what options are available to see what might align well with one’s goals, values, and needs. 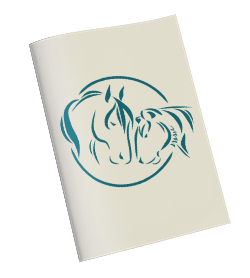 One list with questions to consider when evaluating a program is available here: https://equusoma.com/client-services/select-equine-therapy-program/ This list is not exhaustive but is meant to provide a starting place when exploring programs that might be a fit. Thanks to Lynda Watson and Equine Leadership for inviting me to write this piece.